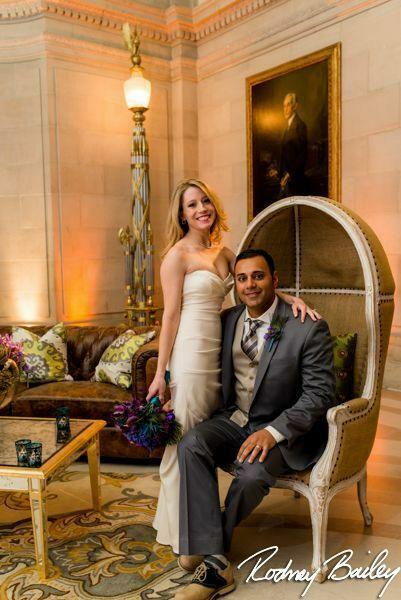 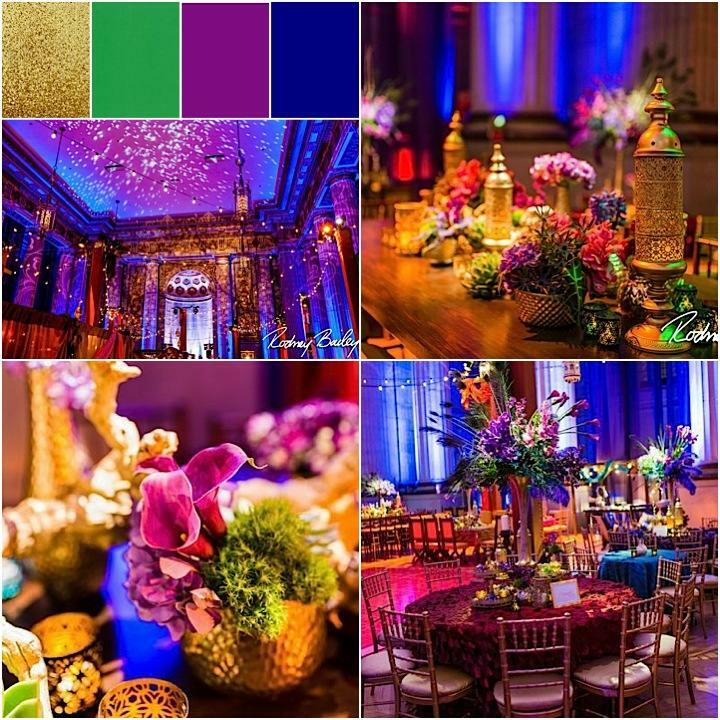 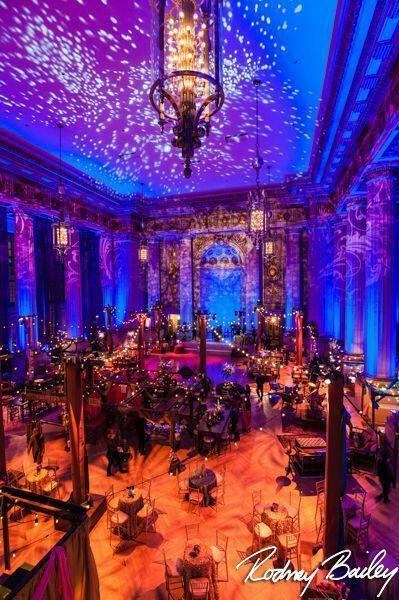 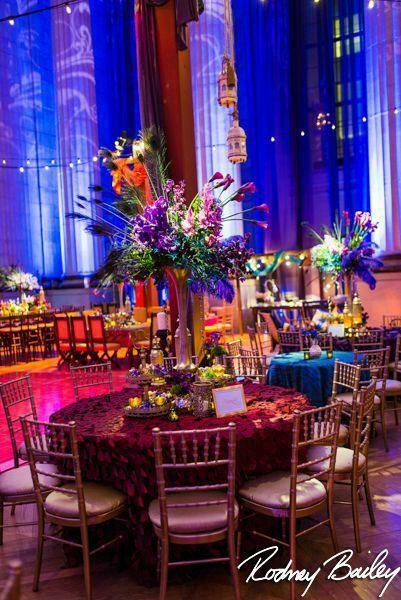 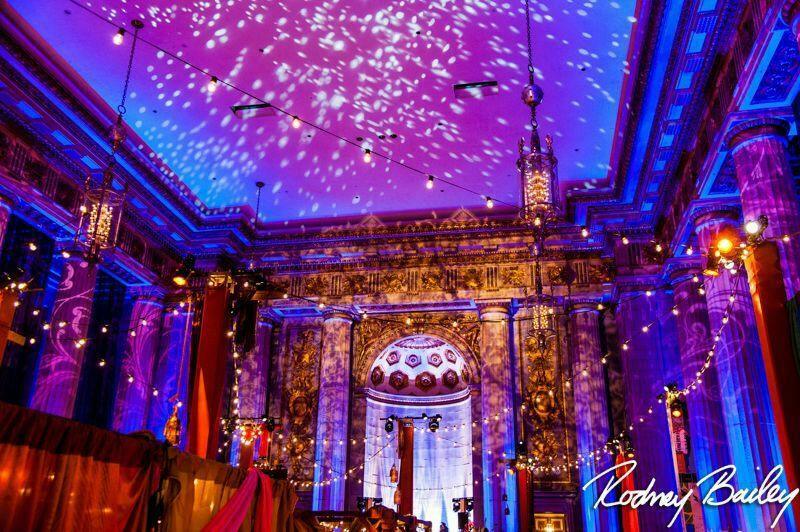 When I found out about Holly and Sanjiv’s Washington DC wedding at the Andrew Mellon Auditorium, my eyes lit up at the sight of such a robustly colorful event with equally brilliant lighting and floral design. 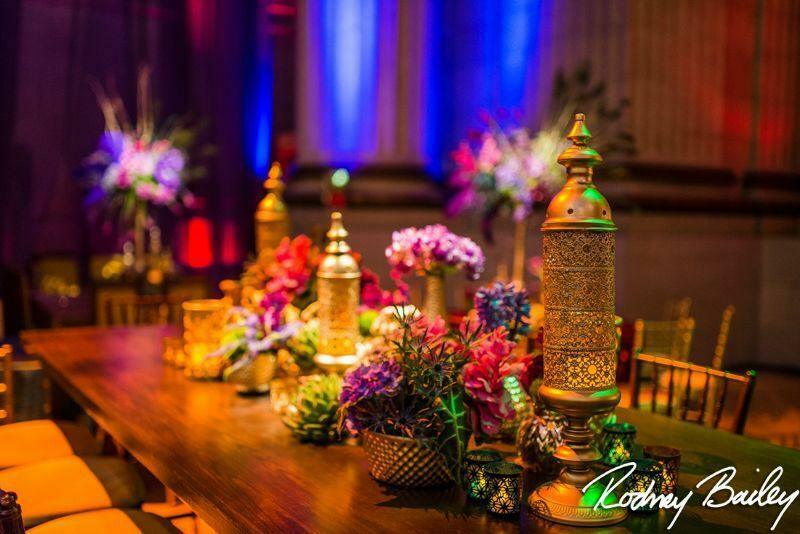 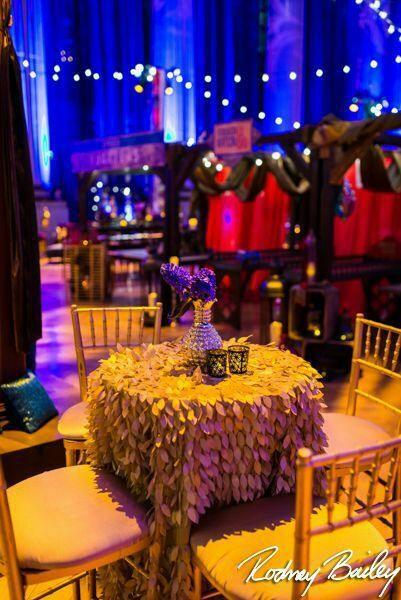 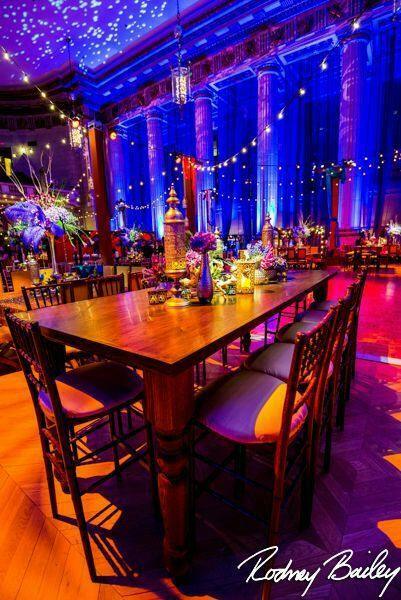 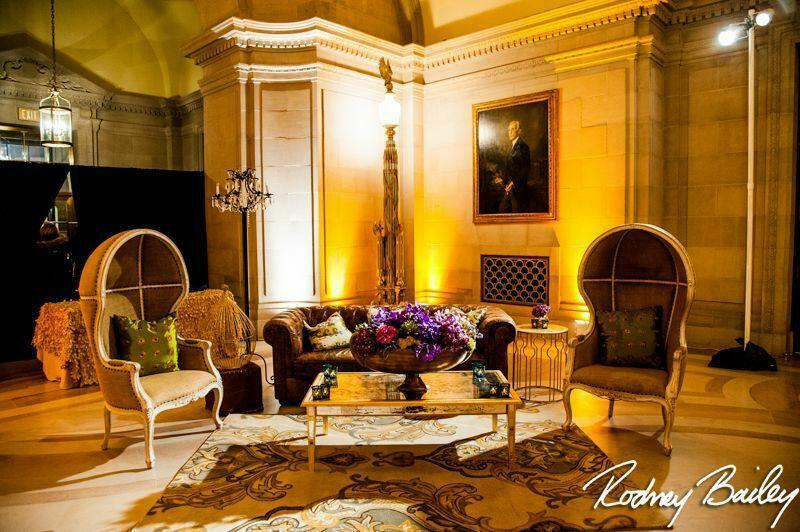 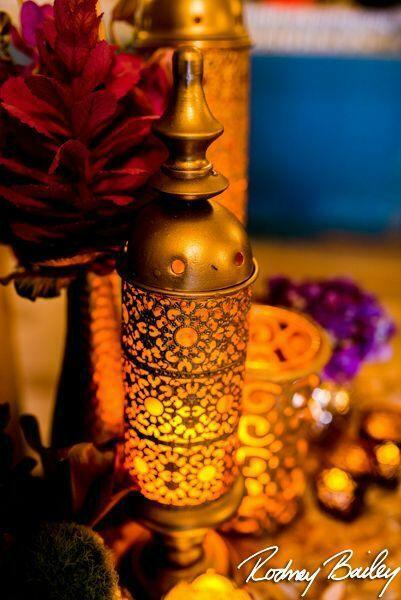 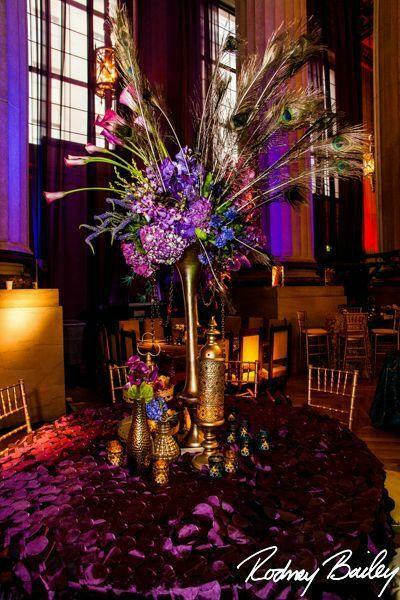 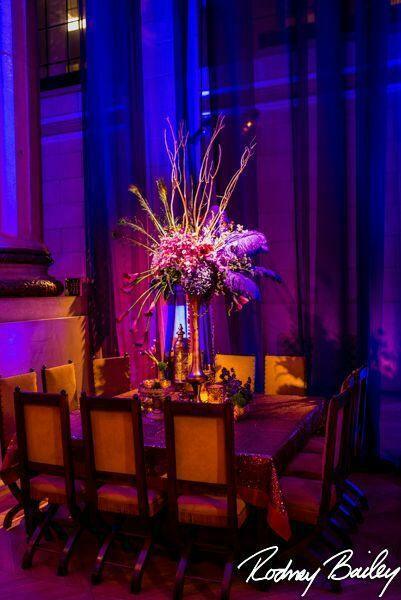 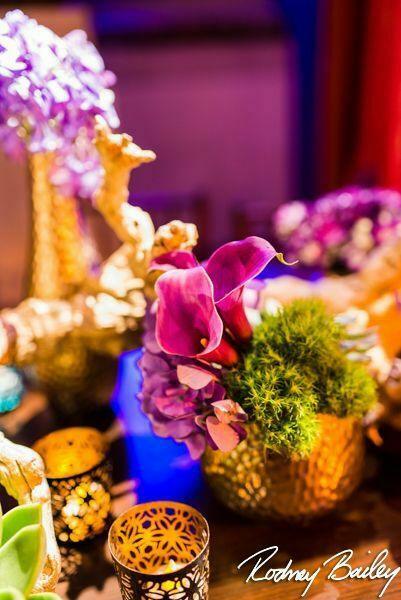 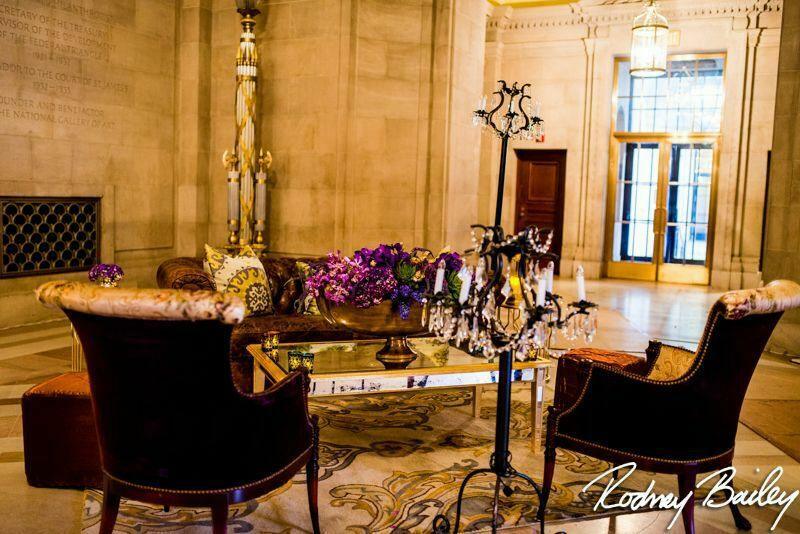 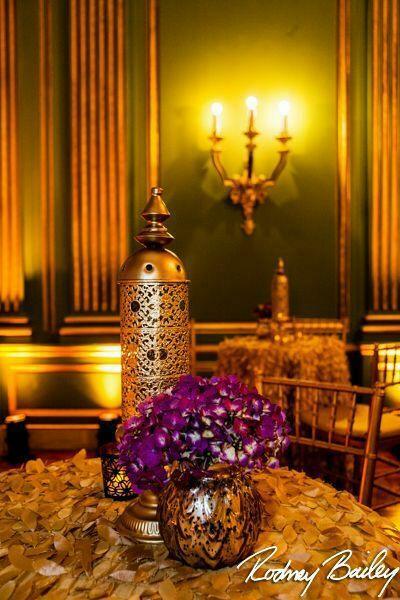 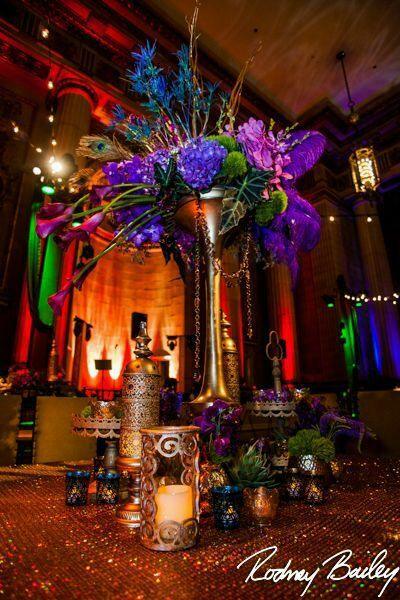 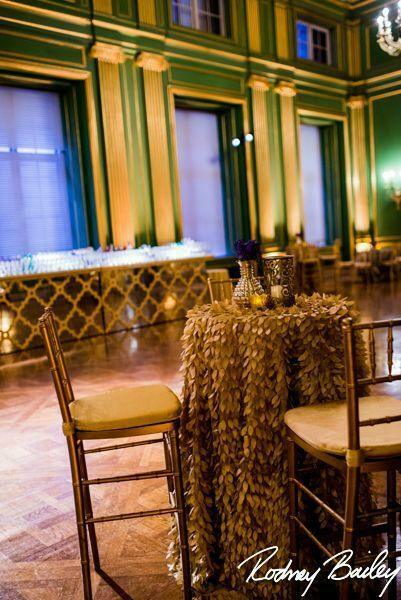 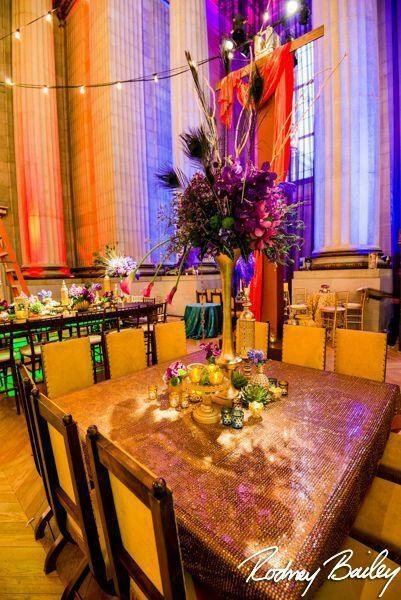 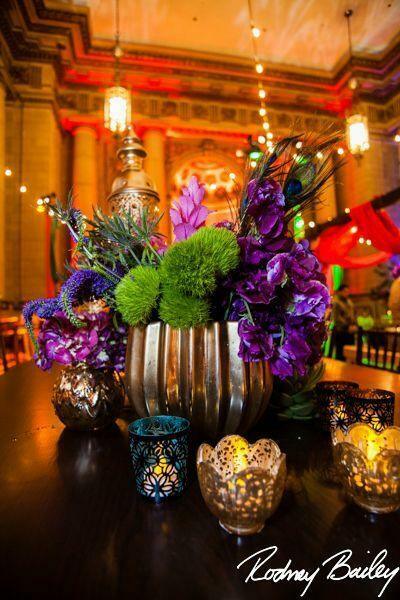 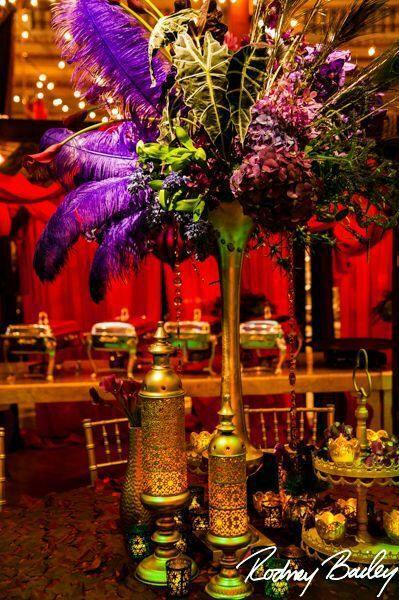 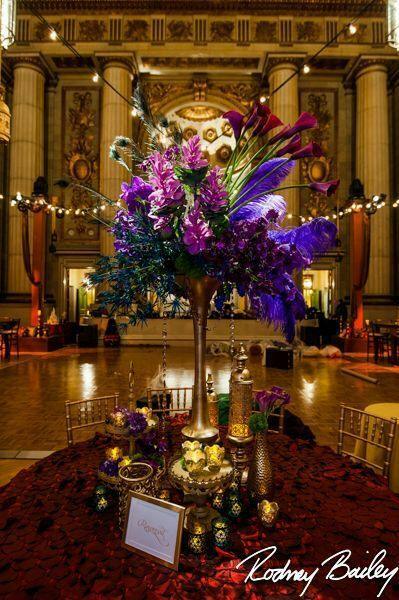 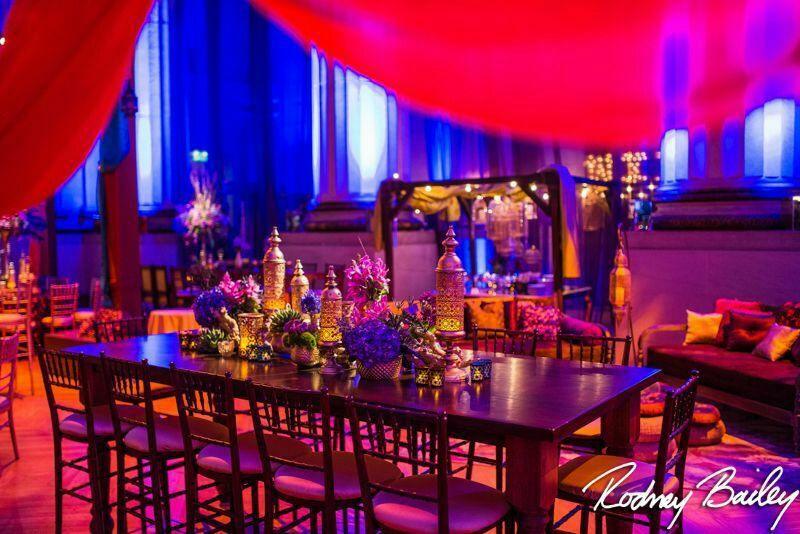 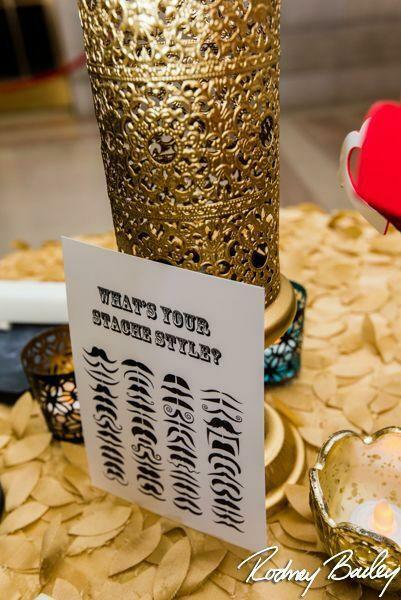 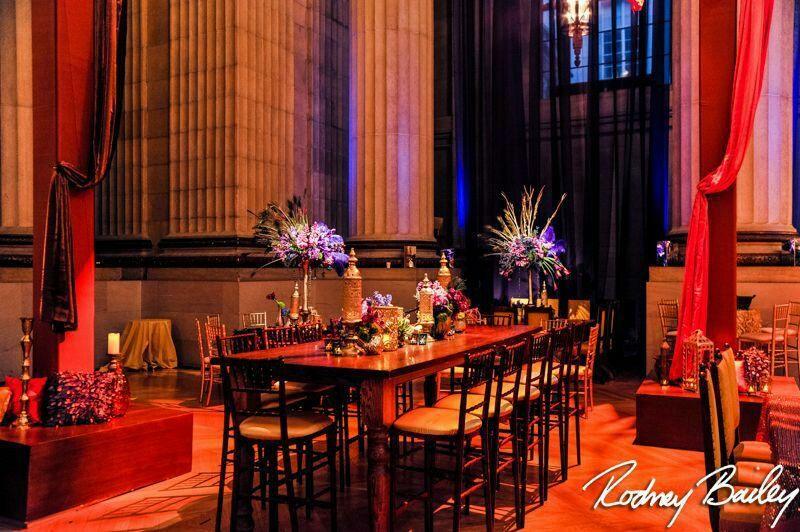 Wedding Planner and Event Designer Jodi Moraru of EVOKE definitely made a huge splash with this culturally rich celebration featuring dramatic centerpieces and warm gold accents. 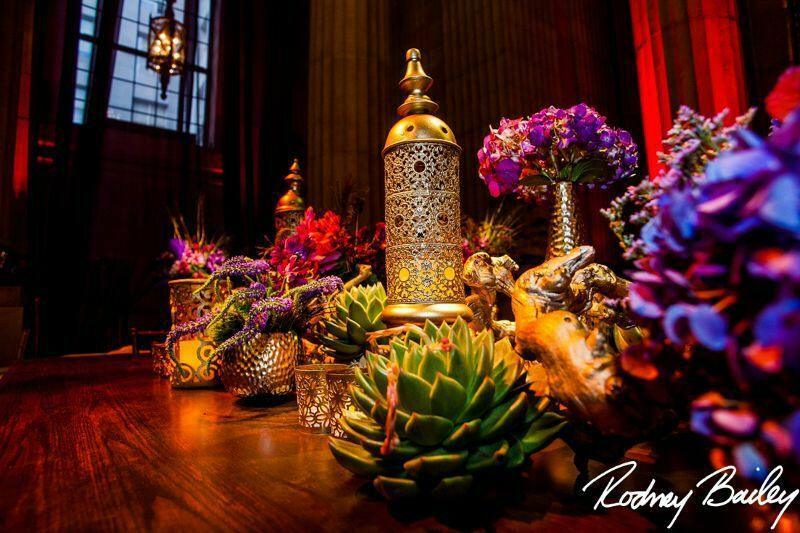 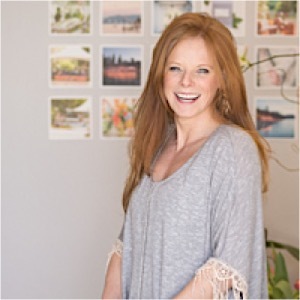 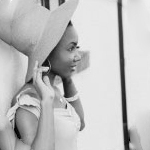 Having captured every singe detail, Rodney Bailey Photography shares an inspiring love story through photos, and we can’t get enough. 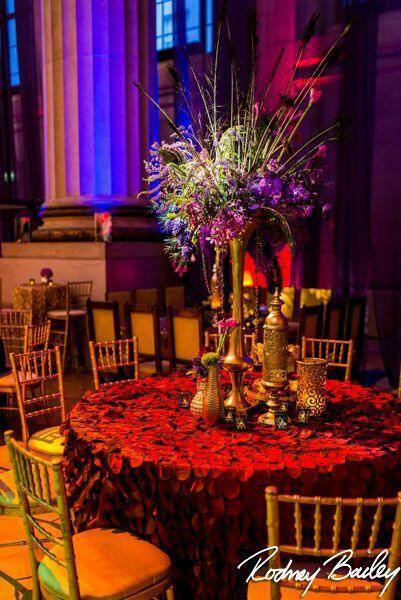 Take a look, and be inspired!